View all upcoming concert dates! 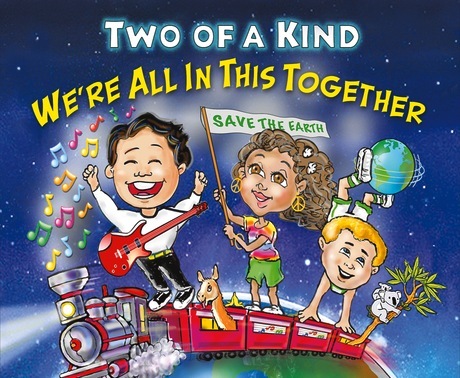 Two of a Kind is available for programs at schools, libraries, performing arts centers, concert halls, festivals, museums, zoos, aquariums, camps and special events. Children, teachers and parents love Two of a Kind concerts because of the interaction, the humour, the messages and the great songs. 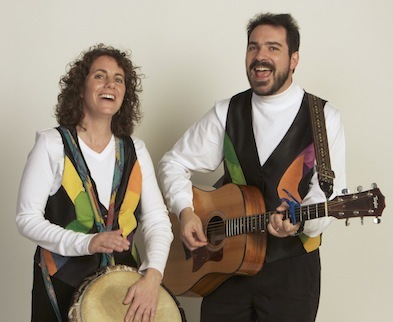 Two of a Kind artist residencies focus on the art and process of songwriting, including both lyrics and music. Two of a Kind residencies are often built around a theme. 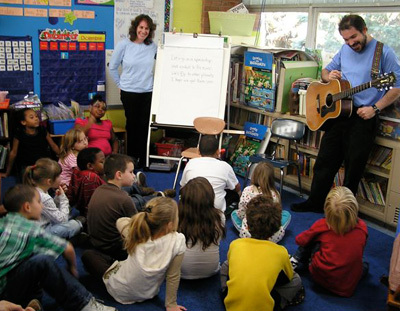 Through a group creative process students learn about cooperation, creativity, compromise, and accomplishment as well as specific skills and information related to songwriting. 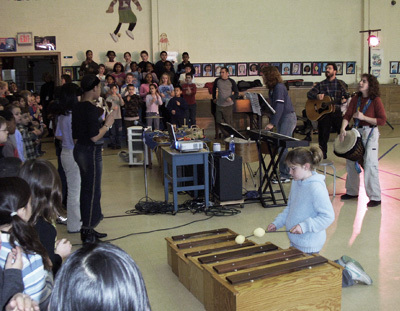 Two of a Kind helps children believe that they can make music, and that they can make a difference in the world. New video for our Treehugger song! Many thanks to the kids from Cheltenham Elementary School and CES librarian Stephanie Jacob; the friends and fans who sent in family photos - including Jackson Gillman, Jocelyn Goranson, Charlie & Gina Miller, Henry Hope, Bruce & Linda Pollack-Johnson; our January interns Grover Neville and Daniella Pruitt for finding lots of great photos, our son Jason Heitler-Klevans for some camera work and Rodney Whittenberg for helping us with technical difficulties. We hope you like it!